The Celestron Starsense To CG5 Adapter Cable is AUX port splitter specifically designed for CG5 mount. 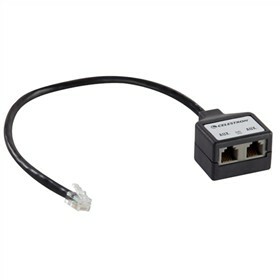 With this port splitter you can create an extra auxiliary port on computerized mount and connect the StarSense AutoAlign or another peripheral device, to your telescope with only one built-in AUX port. This adapter cable has two 6-pin auxillary outputs and one 6-pin input terminals. 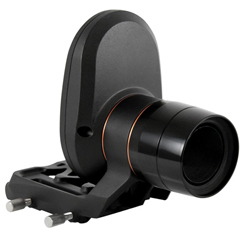 The Celestron Cable StarSense-to-CG5 has many exciting features for users of all types. 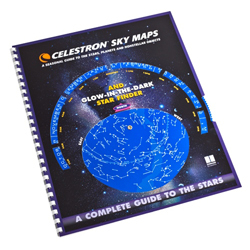 You can extend the lifetime of your Celestron Cable StarSense-to-CG5 with the purchase of a FactoryOutletStore Factory Protection Plan. FactoryOutletStore stocks a full line of accessories like Celestron LensPen - Optics Cleaning Tool, Celestron Night Vision Flashlight, and Skymap for the Celestron Cable StarSense-to-CG5. The Celestron Cable StarSense-to-CG5 is sold as a Brand New Unopened Item.